These Metrics Will Help You Understand Where Your Church Is Today… And How You Can Move From Here. One thing we realize at The Unstuck Group is that in order to find the path to where you want to go, it is important to understand where you are now. In the course of our work, we’ve realized that many churches don’t have a good perspective on their ministry health. This is why we created The Unstuck Church Report. This free quarterly report shares the latest trends that we are seeing in church growth and decline. 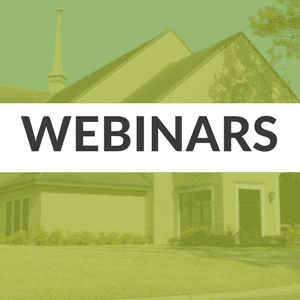 From finances and leadership to measuring the effectiveness of home groups vs. Sunday School, we hope that this report will help you understand where you are now and give you healthy perspective as your church takes its next steps. The Q3 edition of The Unstuck Church Report is available today! This 5-page PDF reviews 20 updated metrics in key areas of church health with insights from Tony Morgan, sharing his take on the numbers. Download your copy today. It’s free! The number of baptisms over the last 12 months increased to 6.4% of the church’s total attendance. In other words, a church averaging 1,000 people in attendance baptized 64 people. This is a small increase from the previous quarter. Student ministry attendance is declining. Currently the average student ministry is 8% of overall attendance. This includes all students in sixth through twelfth grades. This percentage is down from previous quarters. Giving is increasing for churches. The per capita giving was $47 per week. That’s up from $42 in prior reporting. To calculate this number, children’s attendance is removed so that per capita giving is measured against adult and student attendance. Click to download the most up-to-date edition and opt-in to get each quarterly update for free.